Enjoy higher energy, lean body mass, youthful aging, and an overall healthier lifestyle. A supplement designed for superior telomere and antioxidant support to promote healthy aging. Getting the proper nutrition each day is key to sustaining optimal health. This system includes the initial foundation of our five core products – IsaShake™, Cleanse for Life® Concentrate, Ionix® Supreme Concentrate, e+ Concentrate and Product B™. 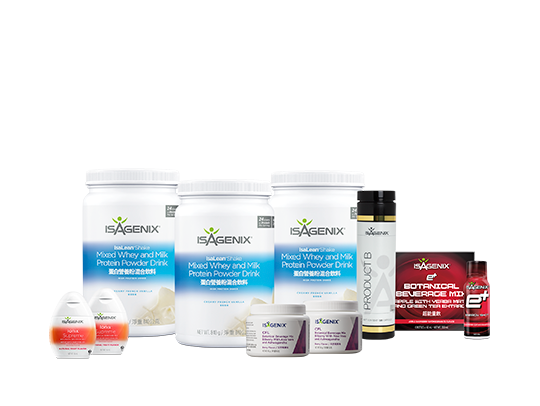 Perfect for people who are interested in healthy-aging benefits associated with a nutritional cleansing and replenishing lifestyle. From raw ingredients to finished goods, our quality control processes are second to none.